The marriage of business analytics, big data, and operations/supply chain management is a revolutionary change in our field. 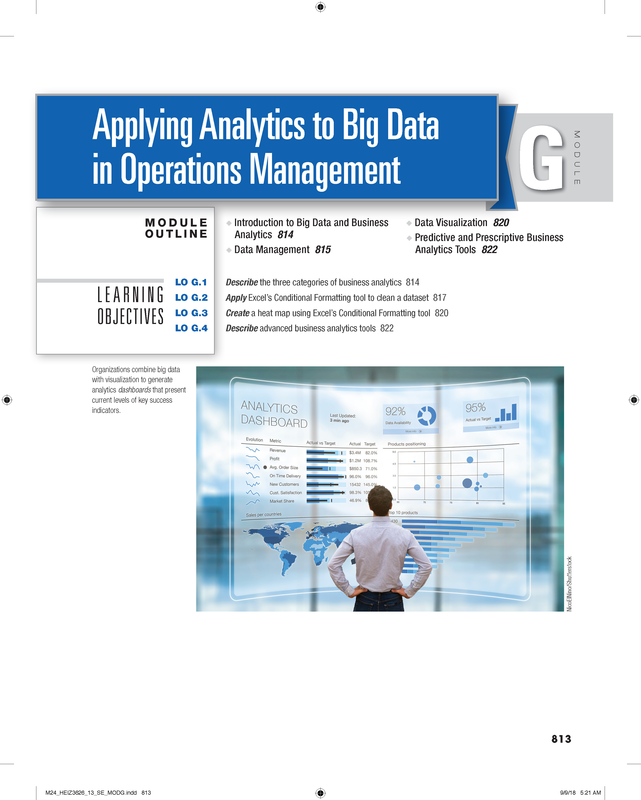 We are the first text to include a chapter (Module G) on this subject, which includes sections on data management, data visualization, and predictive and prescriptive business analytics tools. The topics include heat maps, conditional formatting for cleaning data, and pivot tables. The module includes numerous exercises that will use students’ Excel skills and show them the power of Excel in Big Data. This is a topic instructors have asked for and students will really appreciate! Here is the first page of the new Module G.